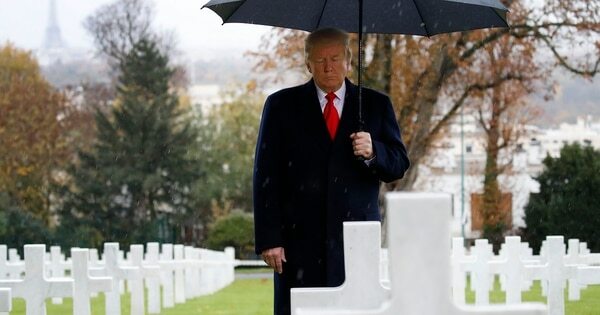 President Donald Trump on Monday unloaded on the U.S.’s European allies, and appeared to threaten to pull out of NATO, upon returning home from a World War I memorial event in Paris, where French President Emmanuel Macron openly rebuked Trump’s political philosophy in a speech the day before. 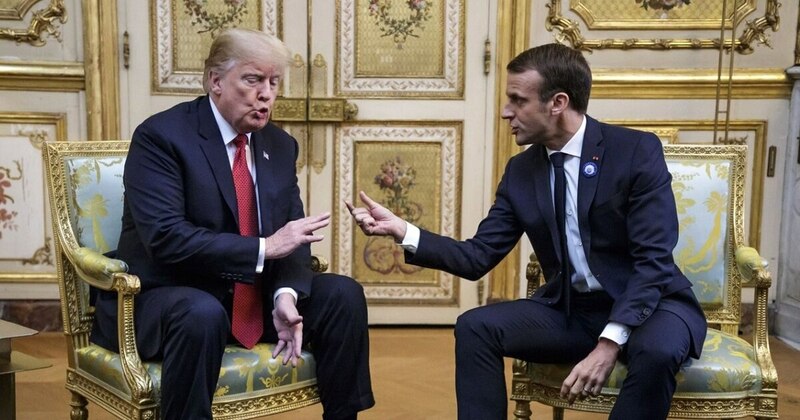 Trump returned to his old talking points — that the U.S. is treated unfairly within NATO while maintaining trade deficits with those countries — as Macron talked up the idea of a European army that would, in part, serve to protect the continent from the U.S.
“Just returned from France where much was accomplished in my meetings with World Leaders,” Trump tweeted Monday morning. Trump typically condemns any kind of trade deficit with any country, though the metric often indicates the U.S. has a strong economy that can afford to buy more from a given country than that country can buy from the U.S. The U.S. by far spends the most in NATO, both on its own defense budget and on programs to increase the readiness and capabilities of its European allies. In 2014, NATO countries agreed to raise their defense spending to 2 percent of gross domestic product by 2024. So far, only five countries — mainly in eastern and central Europe where the threat of Russia looms large — have met that pledge. Since his campaign days, Trump has demanded NATO countries meet that 2 percent figure, or even double it, immediately. Germany, Europe's biggest economy, has expressed little interest in hitting that benchmark. Greece is one of the few NATO countries that meet the 2percent spending mark, but it spends much of that on pensions. NATO’s newest member, Montenegro, could spend 2 percent of its GDP on defense, which would be only $95 million, little more than the cost of one U.S. Air Force F-35. 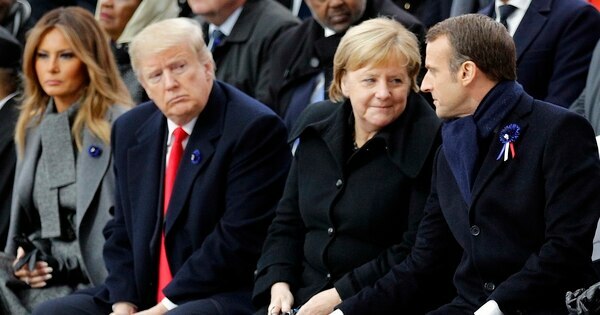 “It is time that these very rich countries either pay the United States for its great military protection, or protect themselves … and Trade must be made FREE and FAIR!” Trump concluded, appearing to wave the idea of a U.S. pullout from NATO. Article 5 of the NATO treaty, the alliance’s key clause that guarantees a collective response to an attack on a member state, has been invoked only once in NATO’s history: after the September 11, 2001, terrorist attacks on the U.S. The result was a collective response from NATO countries that still have forces fighting and dying alongside U.S. forces in Afghanistan today.